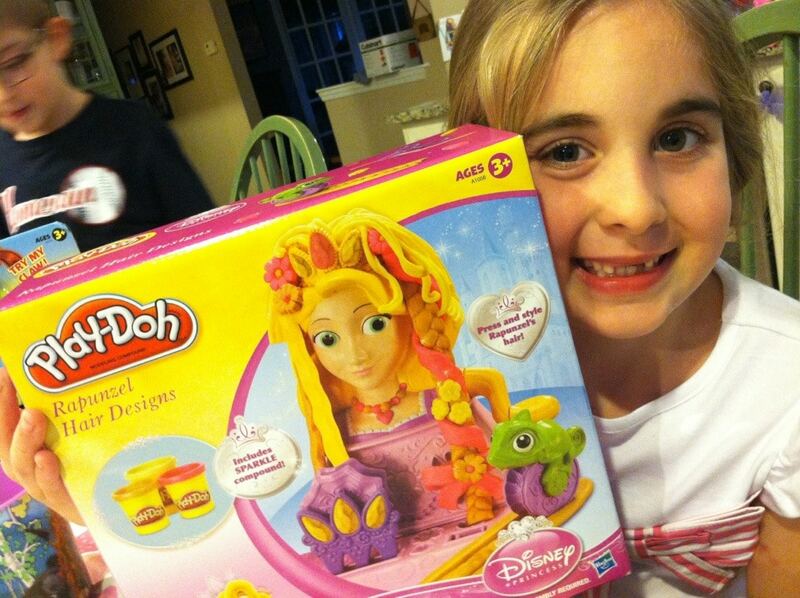 Natalie has been LOVING the new Disney Play-Doh Rapunzel Hair Designs set. Not only can you grow out Rapunzel’s long beautiful hair, but you can add jewelry to it as well. Every little girl’s dream. 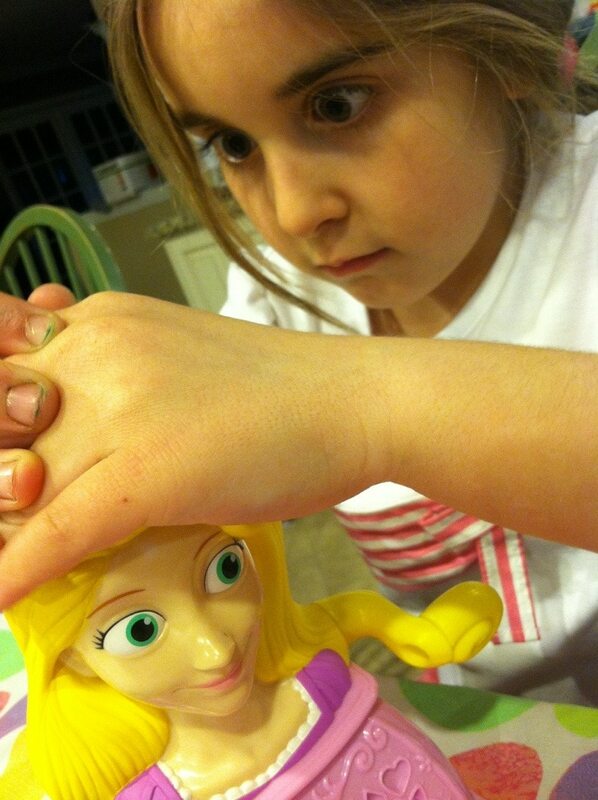 This picture is hysterical because Natalie was VERY SERIOUS about making Rapunzel’s hair. VERY, VERY SERIOUS. I couldn’t help but capture this moment – even though it’s borderline scary. 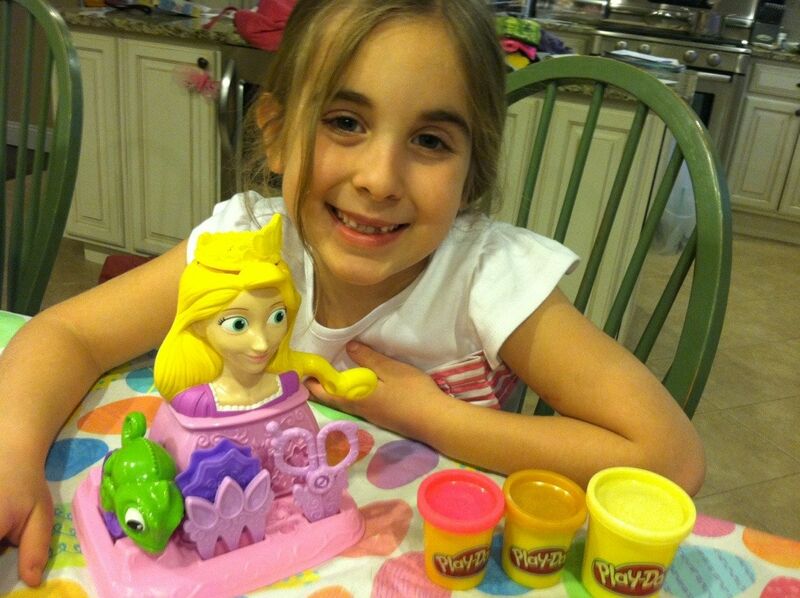 Here’s a little video showing the Play-Doh Rapunzel Hair Designs in action.